Sarah from All Our Fingersin the Pie was our February 2013 Daring Bakers’ host and she challenges us to use our creativity in making our own Crisp Flatbreads and Crackers! I missed the last DB challenge and I didn’t want to miss this month too… February was a very busy and hectic month for me, birthday, Church Harvest festival and 5 days of long holidays and I somehow managed to bake these crackers on time… Thanks to Sarah for making this month’s challenge so simple and easy! 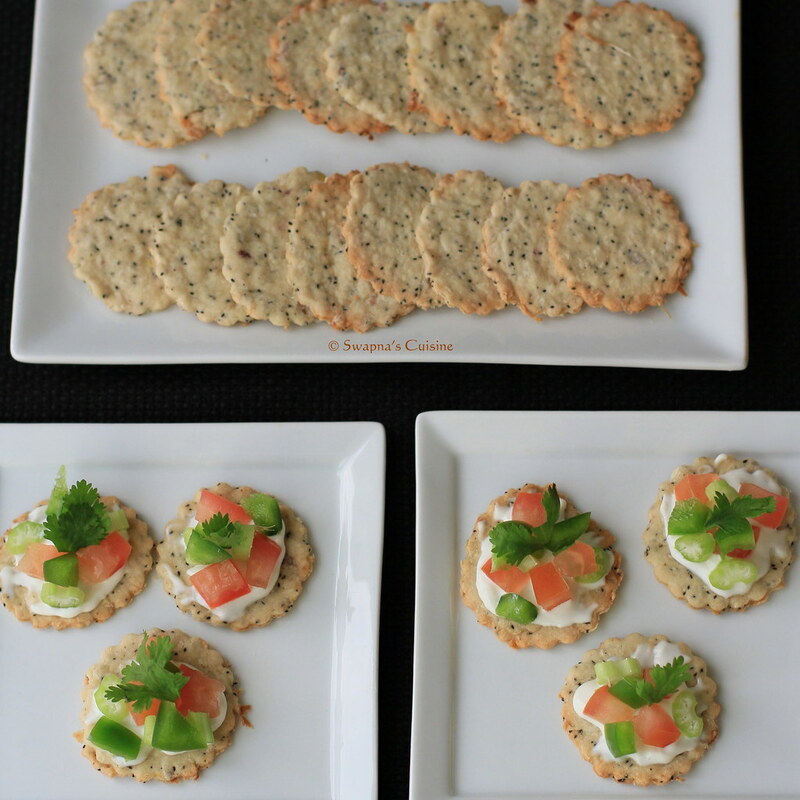 These onion crackers are very easy to make and are very addictive to munch on… I also served these with little cream cheese topped with some fresh vegetables and herbs… Instead of cream cheese you can mix some Mayonnaise with a dash of Sriracha sauce too… I served these crackers with wine to my guests and they all loved it! From “Menus from an Orchard Table” by Heidi Noble featured on Sarah’s blog. In the bowl of a food processor fitted with the blade attachment, puree the onion. One medium onion will yield approximately 1 cup puree. Measure 1 cup puree and liquid from the onion and return to the food processor. Add the egg, oil and salt and blend until well incorporated. In another bowl, measure the dry ingredients. Mix lightly to combine. Make a well in the center and add the liquids in this well. Mix in one direction until the dough is fully combined. Lightly knead the dough, flouring as needed, for 2 minutes. Wrap tightly in plastic wrap and rest in the refrigerator for 1 hour. Preheat oven to moderate 350°F/180°C/gas mark 4. This is a very soft dough and you may find it best to roll it between two sheets of parchment paper. Roll as thinly as possible. In fact, it is best if rolled as thinly as a strudel dough. But don't worry if you can't get it that thin. The crackers will still be fine. Cut into desired shapes. Bake until evenly golden. The time required will depend upon thickness but anywhere from 5 - 15 minutes. 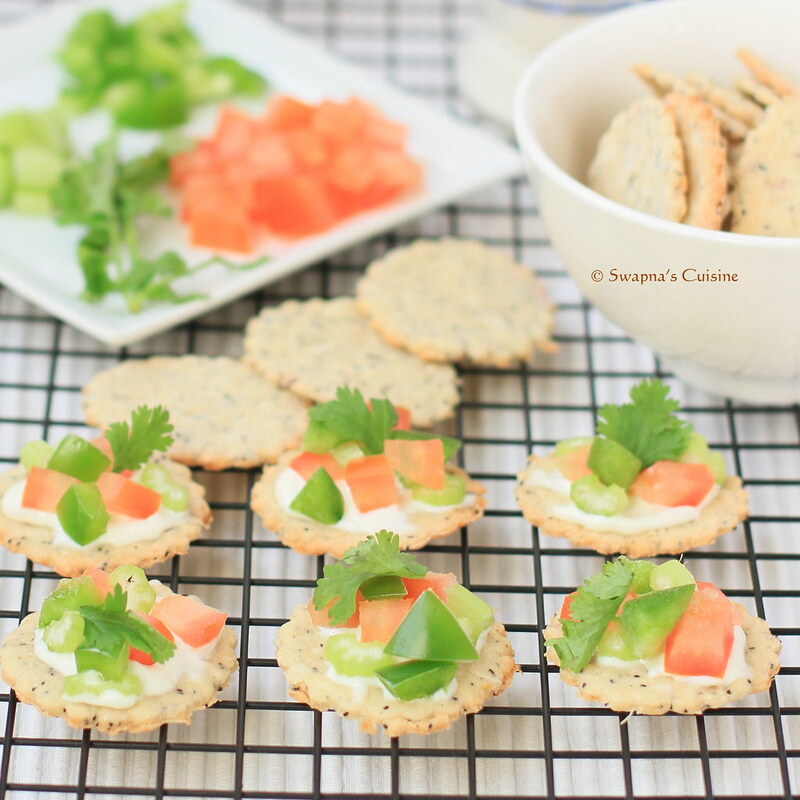 If they are thicker, the crackers will puff up like little pitas. Cool thoroughly before storing in air tight container. 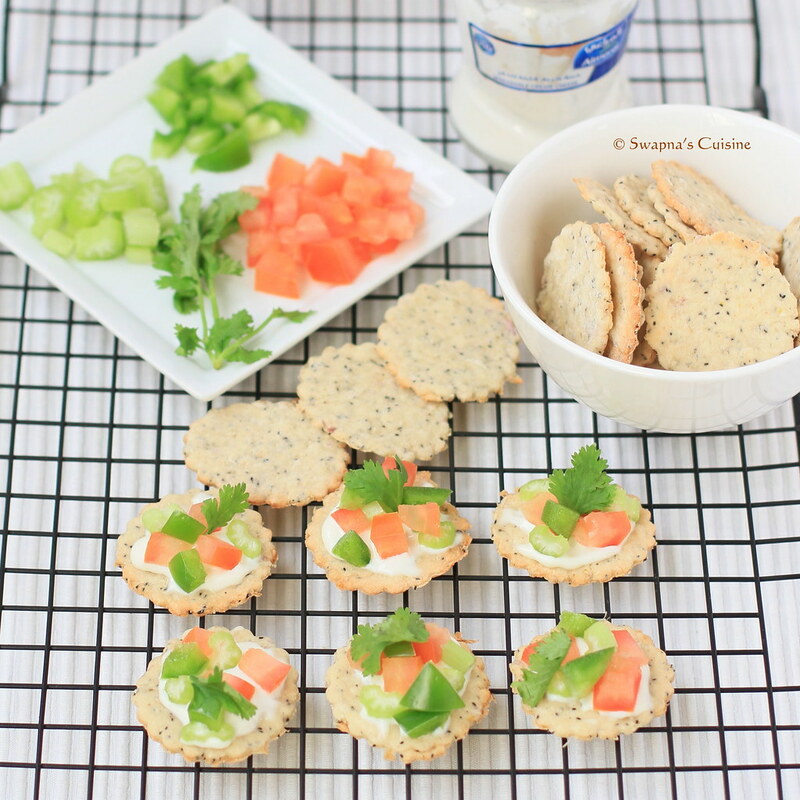 Wow crackers looks very attractive,flavourful and feel like munching some. 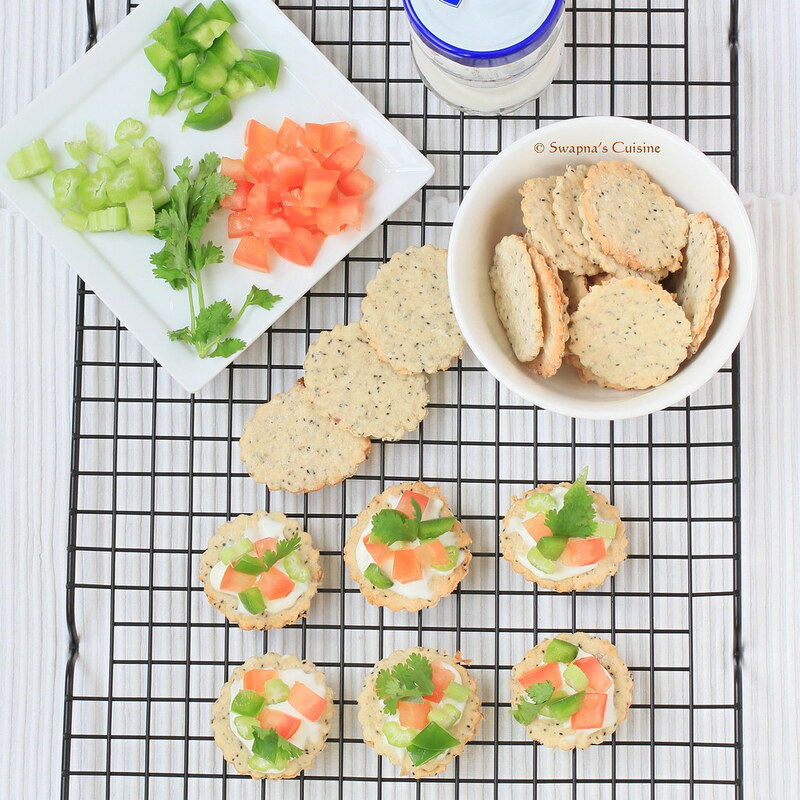 The crackers and the picture are really pretty! Oh these look so nice, they look just like store bought ones!!! I made Grissini, you have done such a great job with the challenge. Pop over to my site and say hi, I would love it if you would link your story to mine with the Daring Baker linky tool. Great job on these crackers. They look perfect and are a little difficult to make. Thank you for participating in this challenge. These look stunning, I love your photos!